Many migraine sufferers have a family history of migraine but the exact hereditary nature of migraines is still being determined. Since the exact cause of migraine is unknown and there are no laboratory based diagnostic tests to identify those who suffer from the disorder research is vital to migraine sufferers. Although most scientists seem to agree that migraine is caused, in part, by defective genes, the actual types of genes responsible are still not fully understood. It is thought that people who experience migraines may have an inherited abnormality in the system of blood vessel regulation. Research indicates that there is a migraine pain center located in the brainstem, the area at the base of the brain. When surrounding blood vessels dilate and inflammation occurs, this leads to the pain experienced during a migraine. There have also been some population-based studies performed to determine familial links for migraines. Findings have suggested a strong genetic predisposition to migraine, and in particular, migraine with aura. 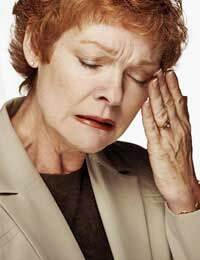 This means that if you suffer from migraines, relatives are more likely to also have migraines compared to relatives of people who don’t have the disorder. Twin studies have been helpful in providing a genetic link. Identical twins are generally twice as likely to experience similar migraine patterns as opposed to fraternal (non-identical) twins. Non-identical twins with migraine are still, however, important in migraine studies. Some of the chromosomes responsible for different migraine symptoms have been identified. Identifying these chromosomes is important in migraine research because it can eventually lead to diagnostic tests and drugs for treatment. One study suggested that migraine sufferers have more genes that produce platelets. Platelets are cells found in blood that help to stop bleeding where blood vessel walls are damaged. Scientists have found a difference between the genes that produce platelets in migraine and non-migraine patients. In a migraine sufferer, this difference means that platelets clump together and initiate a release of serotonin, which is a neurotransmitter found in the brain. The release of serotonin results in a constricting effect on arteries. Blood vessels in the head narrow and as the serotonin is processed by the body and the level drops, blood vessels then quickly dilate. This dilation squeezes surrounding nerves and leads to the characteristic pain and discomfort associated with a migraine. It is also a difficult task to identify genes associated with migraine because there are so many other factors, such as environment and diet that contribute to migraines. Ruling out these factors in gene studies can be a challenge for researchers. There still remain a great deal more questions than answers about the genetics of migraine and any cure is still years away. It is hoped that continued research will provide additional insight into the complex interplay of genetic factors. Perhaps one day your migraine susceptibility and your migraine type may even be identifiable with a simple blood test. Awareness of the genetic basis for migraine will also allow healthcare providers to address the underlying disease mechanisms and to develop medications that don't merely treat the symptoms, but also the cause. For anyone who suffers from migraine headaches, this news would be a welcome relief.